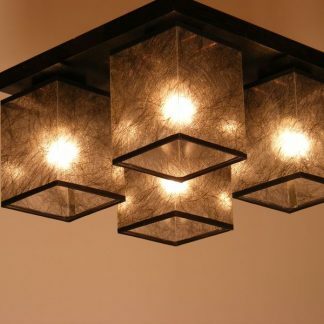 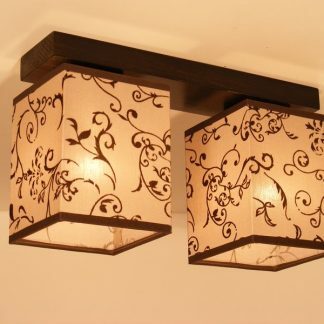 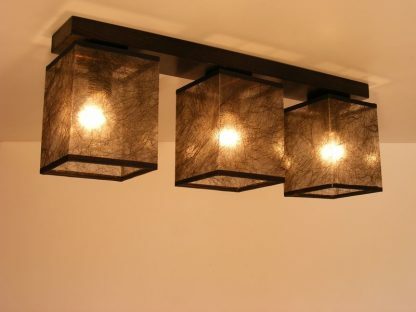 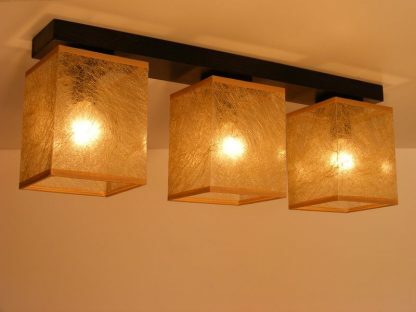 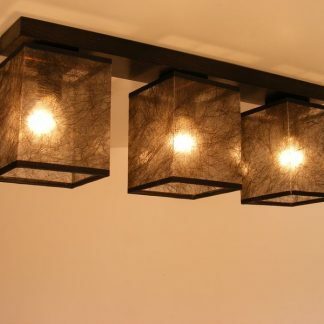 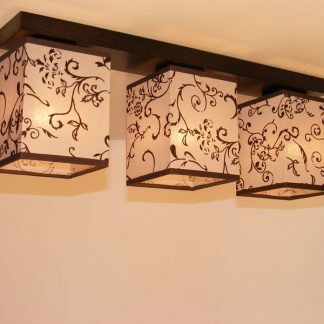 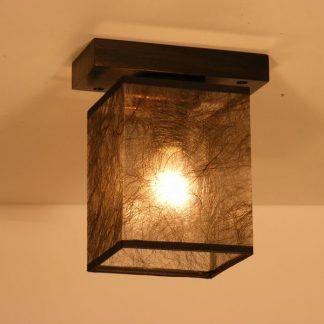 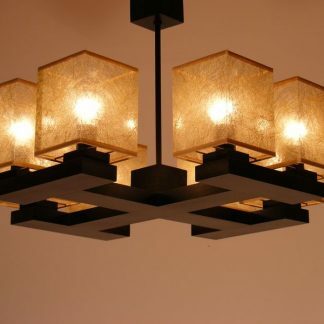 BASARI ceiling light is an elegant lighting fixture with three luminaries made of wood with brown finish. 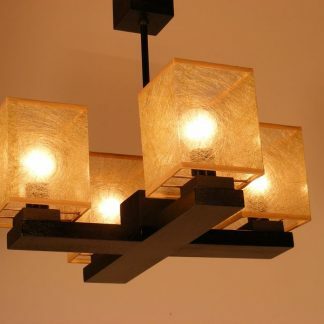 The BASARI product line is offered in two color option lampshades: dark and golden. 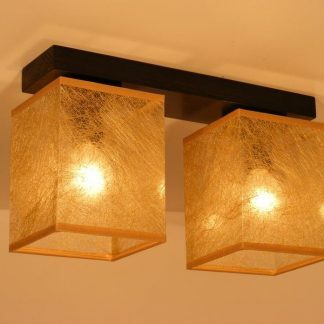 Dark/golden thin PVC light shade and E14 light bulb socket.